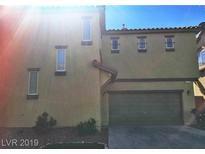 Below you can view all the homes for sale in the Centennial Park subdivision located in Las Vegas Nevada. Listings in Centennial Park are updated daily from data we receive from the Las Vegas multiple listing service. To learn more about any of these homes or to receive custom notifications when a new property is listed for sale in Centennial Park, give us a call at 702-323-5963. Laundry room upstairs. Located on corner lot. MLS#2085857. Love Local Real Estate. The Backyard is a blank slate and ready for your vision! MLS#2083582. Love Local Real Estate. Easy access to major shopping area and freeway. MLS#2082178. Keller Williams Market Place. Easy Freeway access and shops near by. Schedule a showing today. 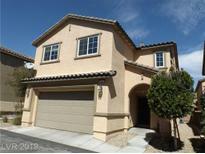 MLS#2081380. Nationwide Realty LLC. This is a must see and is priced to sell!!!! ! MLS#2077522. Simply Vegas. Gated community in the desired Centennial Hill with playground, barbecue area. Close to shopping and freeway MLS#2075900. Realty ONE Group, Inc.
Community park and dog park are part of the HOA. MLS#2072464. Opendoor Brokerage LLC. Gorgeous Covered Patio Fitted with Ceiling Fan and Lighting!! Come see today! MLS#2051885. Prime Acre International LLC. Neutral color carpeting, upstairs laundry, All bedrooms upstairs. MLS#2021117. Keller Williams Realty Las Vegas. A 4 bedroom, 2.5 bath, 2 story home with granite counter tops, all appliances included, quaint backyard with a wood patio. In a gated community. MLS#1818546. Congress Realty.